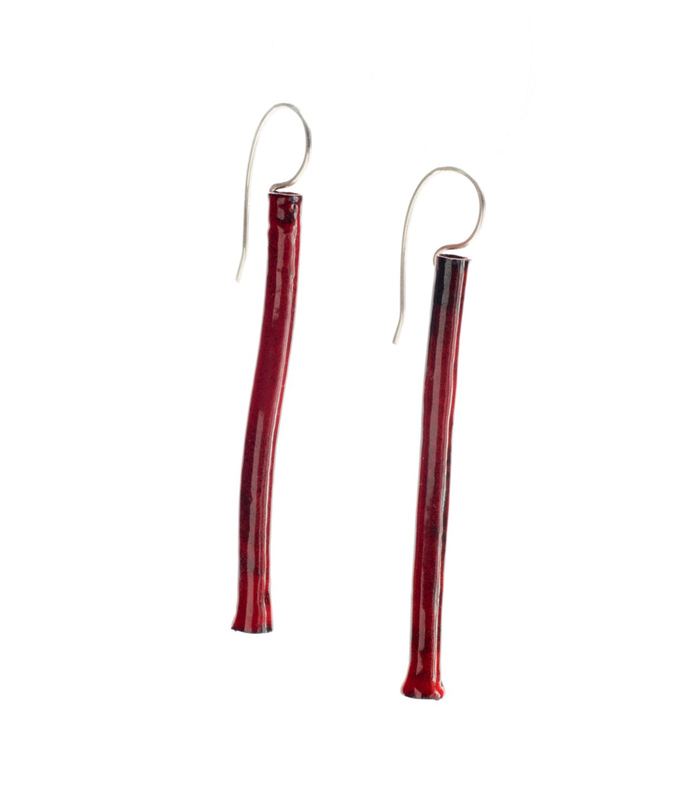 These hand made enamel tube earrings are constructed of a 4mm diameter copper tube that has been slightly deformed and coated with rich, glossy enamel. Your choice of red or white. They are both slightly over-fired so the red shows hints of black and the white shows hints of the palest green. 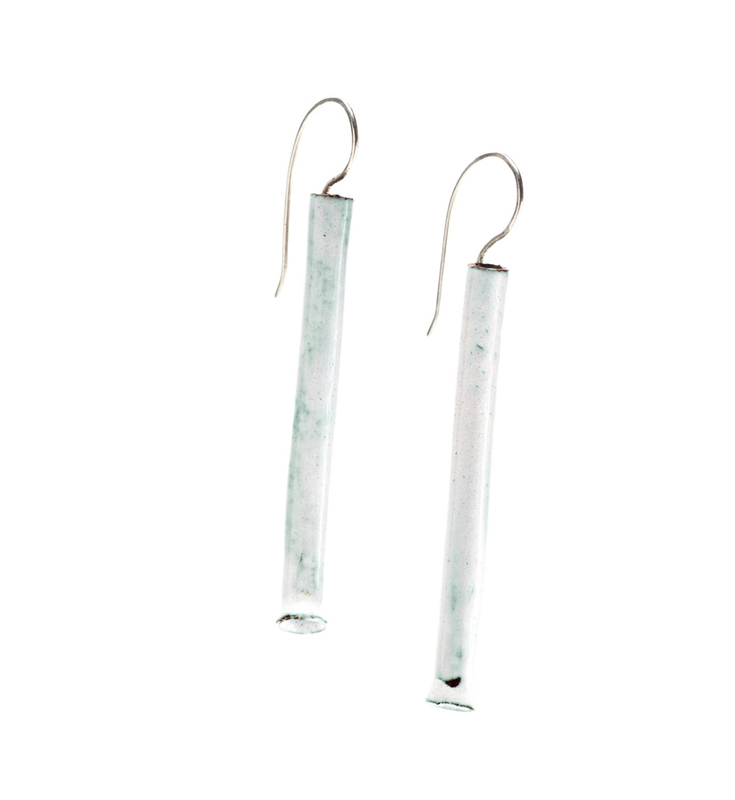 2″ to 2 1/2″long they hang from a handmade silver ear wire.